With 29 local and trusted corporate partnerships throughout the region, Experience The French Riviera offers the best in all the concierge services you need for your holiday or business trip to this part of the world. Whether you require a luxury villa rental, yacht charter, security services or tickets to events such as the Cannes Film Festival or Monaco Grand Prix, your needs will be taken care of by our dedicated team discreetly and promptly through our extensive business network of community insiders and tourism professionals. From experience gained by working in anti-terrorism roles in hostile environments, Greyman has amassed a wealth of knowledge and experience in areas highly attractive to the security industry. They only work with individuals who demonstrate the highest levels of professionalism, experience and proven ability. They do not recruit. They select. First created in Hong Kong and then in Paris, Refeel events is a French boutique event agency that organizes custom made events for individuals, administrations, associations and companies, in France, Hong Kong and anywhere its clients dream to go. 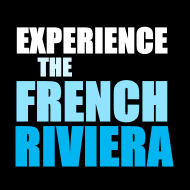 Founded in Nice in 2005, Azur Riviera Prestations organize corporate and private events on the French Riviera. The sum of competencies available through our agency provides the ability to devise tailor made events on demand.